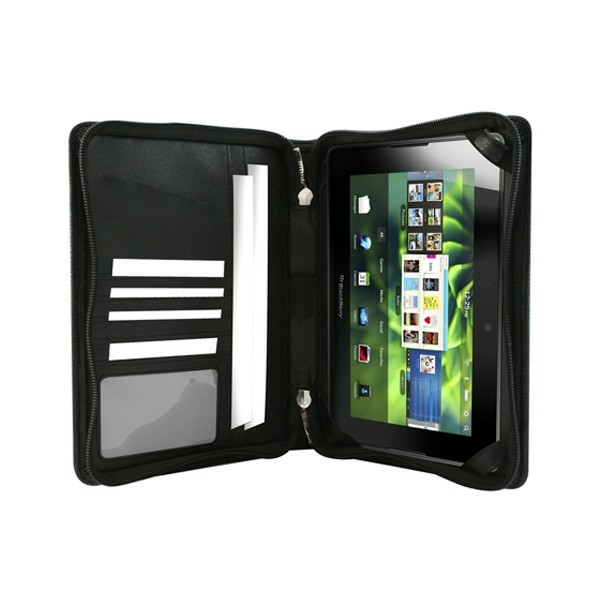 Keep your Blackberry PlayBook looking like new with the Executive Leather Case. 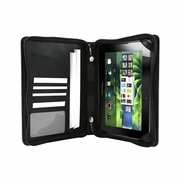 With a hard shell surrounded by soft padding and enveloped in top grade leather, you can carry around your PlayBook in style! There is a flexible sleeve that provides two personal ID holders which are perfect for business cards, debit/credit cards or drivers license. Taffeta lining offers fingertip easy glide insertion and removal of these personal effects. The right compartment features four elastic-backed, nonmarring, double stitched, leather retaining straps to securely hold and pamper your PlayBook while allowing full access to all PlayBook ports and functions.